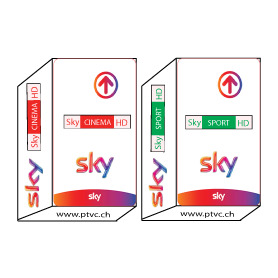 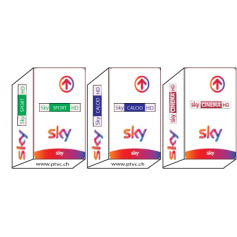 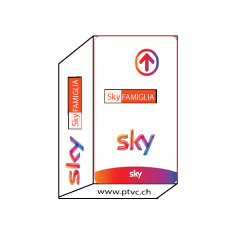 You will find the bulk of the Italian TV with "Sky TV"! On SuperCalcio, follow the best international championships: English Premiere League, Scottish Premiere League, Liga Española, Bundesliga in High Definition! 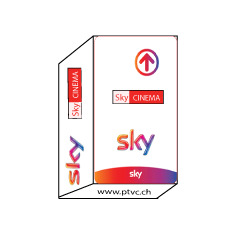 12 channels dedicated to the cinema in high-definition, 10 different films every night and up to 260 HD movies a month with unmatched audio quality in the original language and standard. 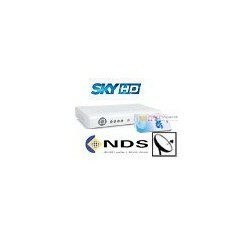 ** Offer only to individuals for private use only if you have an official SKY Italia HD receiver. 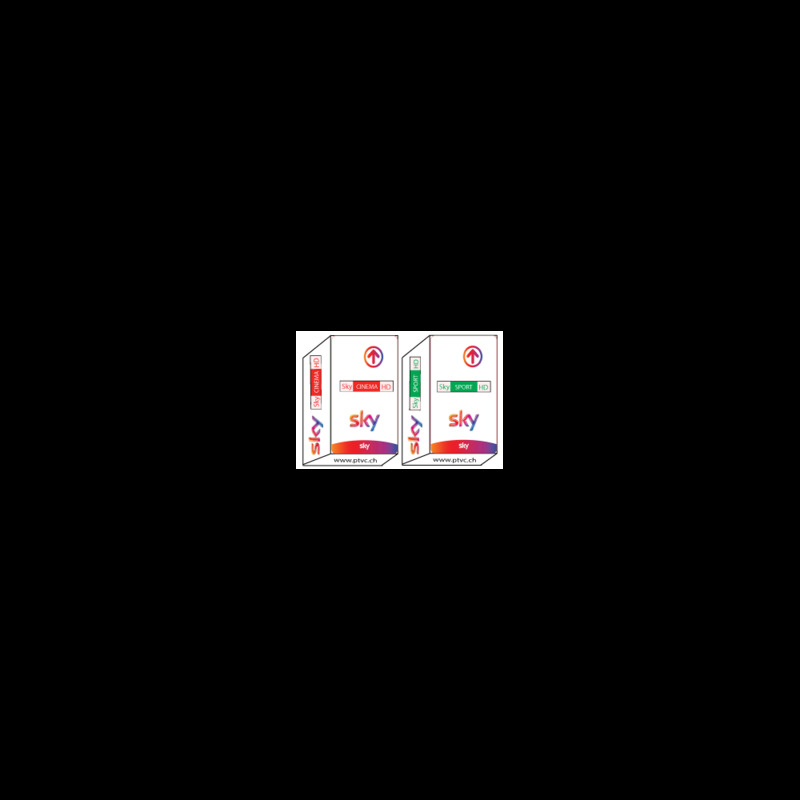 chains included in its offer. 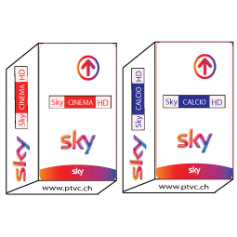 "Sky Sport"for all sports enthusiasts, Sky experts selected the best international in over 20 disciplines the Football sporting events including completeness of the Champions League, formula 1 and the free GP in panoramic format 16/9, basketball with the Championship men's Italian, the NBA and the Euroleague, the Tennis Masters Series, as well as all grand slam tournamentsVolleyball with the series A female Italian clubs, as well as the American sport on NASN, the new European channel in language English. 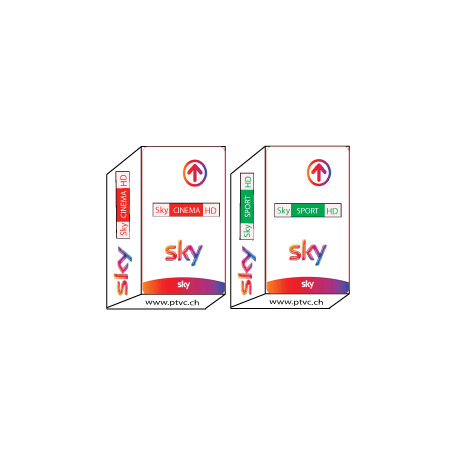 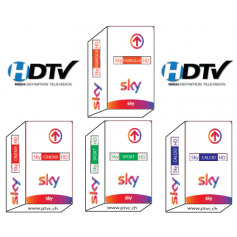 To receive satellite channels SKY Italia, your antenna must be directed to the satellite Hotbird at 13 ° is, and you must already be in possession of the Sky Italy HD receiver .